This cutting-edge text offers an introduction to the emerging field of media archaeology and analyses the innovative theoretical and artistic methodology used to excavate current media through its past. Written with a steampunk attitude, What is Media Archaeology? examines the theoretical challenges of studying digital culture and memory and opens up the sedimented layers of contemporary media culture. The author contextualizes media archaeology in relation to other key media studies debates including software studies, German media theory, imaginary media research, new materialism and digital humanities. What is Media Archaeology? advances an innovative theoretical position while also presenting an engaging and accessible overview for students of media, film and cultural studies. It will be essential reading for anyone interested in the interdisciplinary ties between art, technology and media. Jussi Parikka is Professor in Technological Culture & Aesthetics at the Winchester School of Art (University of Southampton). "Provides the urgently needed map into this new field's extensive domain, but also for those already familiar the book is an excellent read." "Essential reading for anyone interested in the interdisciplinary ties between art, technology and media … Dr Parikka's cutting-edge text contextualizes media archaeology in relation to other key media studies debates while also presenting an engaging and accessible overview for students of media, film and cultural studies." "An exciting and excitable contribution to cultural theory." critical overview of this challenging approach to modern media culture." "What Is Media Archaeology? offers important methodological drives that direct our attention to the artistic, mathematical, and non-written ways in which this truly interdisciplinary field is developing." 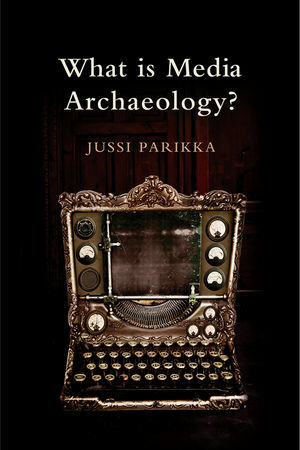 "Jussi Parikka offers a lucid, concise, and highly readable account of a new and exciting field - media archaeology. He demonstrates that contemporary media forms are rooted to the past by multiple threads - untangling them helps us understand the media frenzy that currently surrounds us." "A fabulous map of media archaeology that, as its subject compels, produces its territory anew." "Parrika's adroit combination of depth and brevity takes readers rapidly on wide ranging journeys into exploring contemporary media." "A welcome fresh perspective on methodologies to carry out research on contemporary media cultures – a real antidote to the hype of new technologies that is characteristic not only of technology journalism but also of so much media studies work. A worthy read." "The most comprehensive coverage to date of this fascinating area of study. Parikka's book offers an excellent overview of connections between the material and social aspects of media technology. He provides a thorough review of the diverse and sometimes contrasting theoretical foundations and provides a host of concrete examples of media-archaeological practice that serve to bridge the gap between heady theoretical trajectories and the concerns of practicing artists, users and other readers who take their technology seriously." First single authored introduction to an emergent area of media studies. Media Archaeology is a hot topic which is principally concerned with providing more of a historical view of new media and technology. This book lays out the key ideas, thinkers and examples to give readers an entry point to this complex area. Parikka is one of the core researchers of this topic and a rising star in the field. The book will have international recognition.